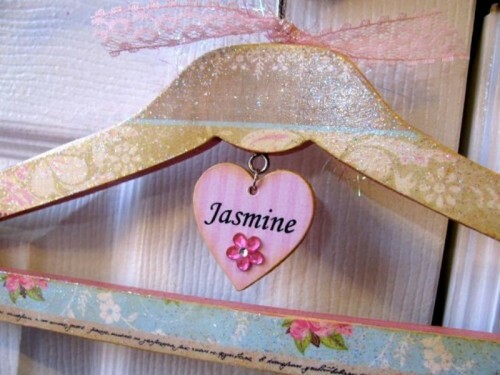 Girls like cute small details and accessories like earrings organizers, jewelry organizers or a personalized hanger. How can you do that? 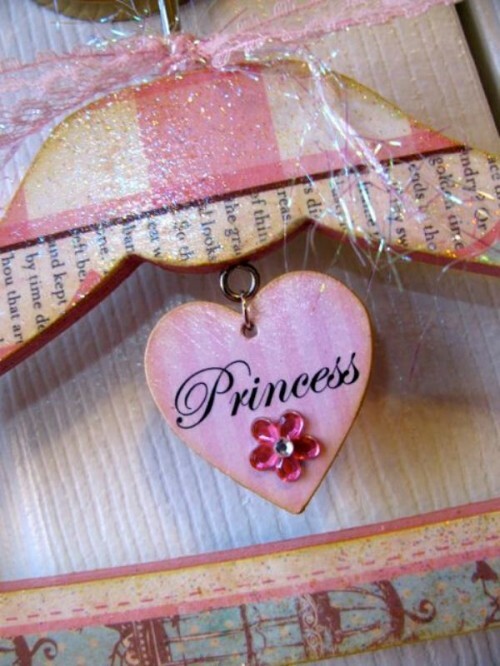 For example, decorate them with paint, adhesive, fringe, pompoms or other decorations. Here’s one more idea how to do that. 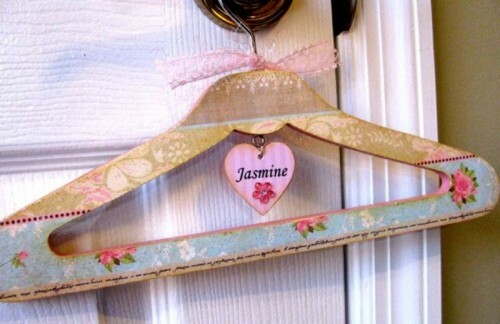 Paint some patterns, or just stick some flowers on the hanger, apply some layers of Mod Podge on it. 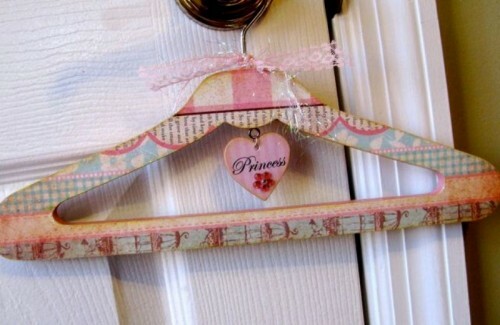 Add a bow, some sparkles and a heart with your name or some cute word like Princess. Use rhinestones, lace and a bit of iridescent tinsel yarn – make it bright and vintage! Enjoy!